Author: Vickers, Salley Set In . . .
For psychiatrist and psychoanalyst Dr. David McBride, death exerts an unusual draw. Despite his profession, he has never come to terms with the violent accident that took his brother's life, a trauma that has shaped his personality and subsequent choice of career. But when a failed suicide, Elizabeth Cruikshank, comes into his care, he finds the deepest reaches of his suppressed history being reactivated. 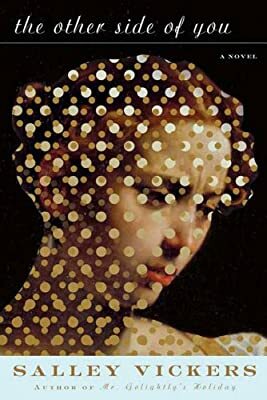 Elizabeth is mysteriously reticent about her own past and it is not until David recalls a painting by the Italian artist Caravaggio that she finally yields her story. As she recounts the chance encounter which took her to Rome, and her tragic tale of passion and betrayal, David begins to find a strange and disturbing reflection of his own loss in the haunted "other side" of this elusive woman. Through one long night's dialogue they journey together into a past which brings painful new insight and uncertain resolution to each of them. The Other Side of You is a powerful meditation on art, and on love in all its manifestations. In distinctive, graceful prose, Salley Vickers explores the ways both love and art can penetrate the complexities of the human heart, to invade and change our being, and the possibilities of regeneration through another's vision and understanding.